Batman vs Superman... On Rollerskates? The Craziest Covers In Comic Book History! But sometimes it's fun to look back on the 'Silver Age' of comics. As comic book culture becomes ever more pervasive, our cinemas are flooded with adaptations of our favourite heroes. These days, aside from the odd tongue-in-cheek one liner in a Marvel film, the adaptations tend to follow the dark and gritty cinematic style made fashionable by Batman Begins. That's not to say comics can't be dark, too. Indeed, they have been that way for some time. As the Joker might say: "why so serious?" But sometimes it's fun to look back on the "Silver Age" that features some of the more frivolous, fun and frankly ridiculous super hero stories ever written. You have to wonder why and how Aquaman, of all people, ended up in the barren desert. A place with no water whatsoever must be literally the worst place for a water-based superhero to be. Also, note the skeletons behind Superman. 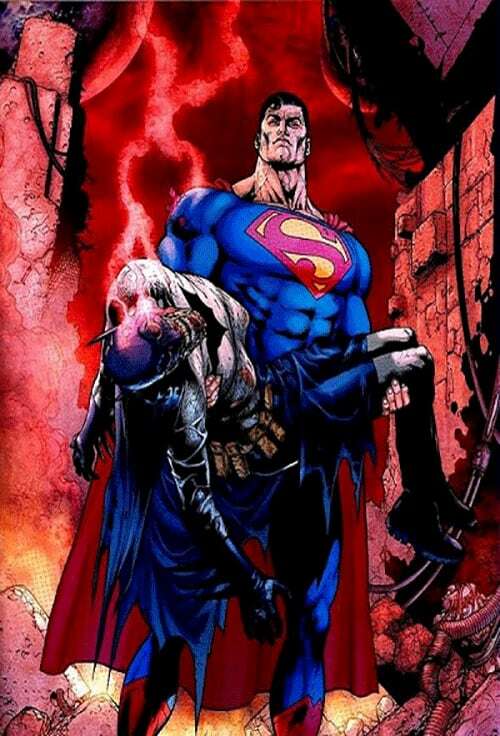 Presumably it's not the first time a grinning Superman has lured his "pals" to their deaths. Now isn't this a heartwarming scene? Batman and Superman are set to appear on screen together in Batman vs. Superman: Dawn Of Justice and from what we know about it so far, it's fair to say it will not feature rollerskating of any kind. Those two don't look like a couple of friends who are about to go roller skating with their favourite orphan, do they? Ah, for simpler times! Rollerskating wasn't the only activity the pair enjoyed, either. Tennis anyone? 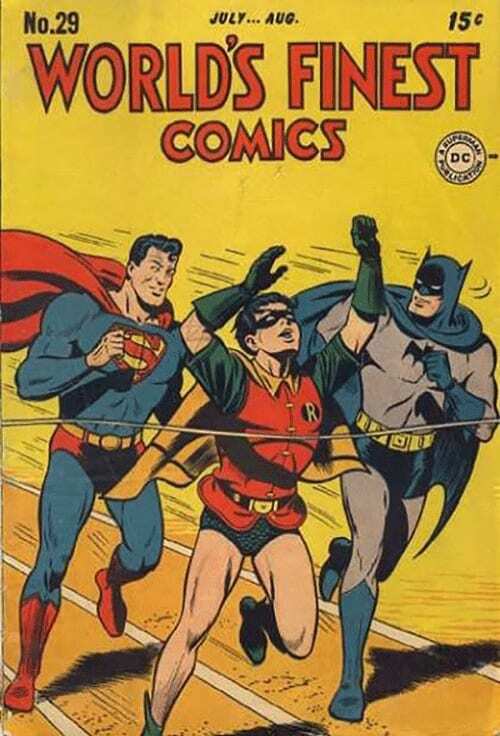 Or how about a three-way race between Batman, Robin and Superman? A race that, inexplicably, Superman finishes third in. There are crimes being committed somewhere and these three are just having fun gadding about without a care in the world. You can't help but wonder how many criminals are getting away scot-free while the self-styled world's greatest detective and his alien friend with god-like abilities while away the hours roller skating, playing tennis and competing in pointless races. No, this isn't Batman's version of putting a rainbow over his Facebook profile picture to show support for marriage equality. Batman's position on that issue remains unconfirmed, as far as I know. The actual reason Batman wears a different coloured costume every night in this comic is to draw attention away from Robin. A grown man dressed as a giant bat just wasn't attention grabbing enough, apparently. I don't really know what to do with this one. Superman, apparently, is "bouncier than The Beatles", whatever that means. "You should listen to The Beatles, they're really bouncy," said no one ever. Superman is singing without a microphone, presumably using his little known superpower of really loud singing. Hey, it wouldn't be the dumbest power Supes has ever had - remember logo power? My favourite thing about this is probably the totally uncool square in the audience demanding the Superman stop dancing to attend to an unspecified emergency. That guy just doesn't get it, man. Batman has had his fair share of ridiculous foes, but a gorilla with bombs strapped to it must take some beating. This cover offers nothing but questions: who decided that strapping bombs to a gorilla was a good plan, and how did they do it? Or is the gorilla sentient, a simian suicide bomber? Can't help but wonder why Robin isn't actually helping Batman hold up that gorilla, though. Jimmy Olsen - "As Popular As Ringo"
I think this is my favourite crazy cover of them all. Inexplicably, it appears both Superman and Jimmy Olsen have travelled back in time to 1,000 B.C., somewhere in the Middle East. Like anyone would, Jimmy used the opportunity to launch a music career which apparently consists of him blowing a horn and thumping arrhythmically on a drum with one hand. This is enough the drive the identical, weirdly English-speaking women of the time crazy, so much so that they don't even notice the flying guy in the cape right above their heads. 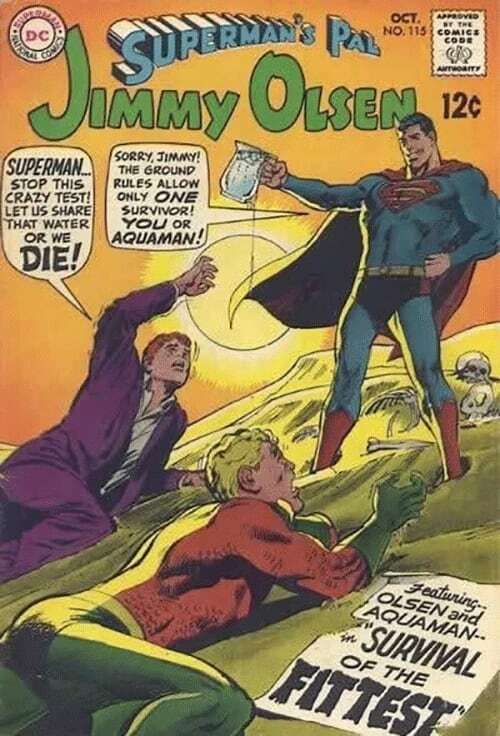 But what really clinches this for me is that Superman still can't resist putting down his "pal" Jimmy. Imagine being at the top of your chosen profession, at the height of popularity, and being described "as popular as Ringo". No John, not Paul, not George - Ringo. Damn, Superman. That's cold. So that's it, those are my favourite crazy comic book covers from the DC Comics stable. I'm sure there are plenty more I could have picked! What do you think, are there any that I've missed? What are your favourite covers, and why? TL:WR—A bunch of bad people, and a few good as well, get violently killed over a bag of money and a mysterious film. But why? 3.5 STARS.